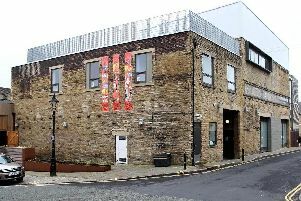 GMB, the trade union that represents foster carers in Calderdale, will demonstrate outside Halifax Town Hall this week when the Council’s full cabinet meet to ‘rubber-stamp detrimental changes’ to the terms and conditions of foster carers across Calderdale. The changes that will be discussed at the full Council meeting will mean foster carers having to work to a zero hours’ contract offering little or no financial security between child placements and a reduction to their annual leave entitlement according to union leaders. Rachel Harrison, organiser for foster carers at GMB said Calderdale Council has repeatedly expressed that these proposals are essential in order for them to be able to recruit new foster carers, but a recent survey of UK foster carers carried out by GMB has highlighted increasing levels of insecurity and dissatisfaction at the way local authorities manage their fostering service. “We would request that Calderdale Council put these proposals on hold, at least until the outcome of this inquiry. “Any changes to be made should be done with full and meaningful consultation with existing foster carers.